Add Minecraft humans, we can become allies. 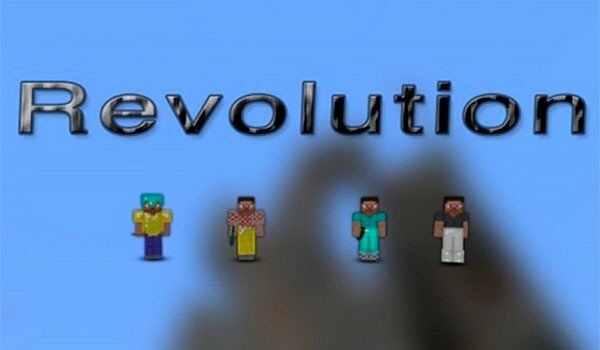 Revolution Mod 1.8 is a mod that is responsible for generating human-like beings in our worlds of Minecraft. These humans will have a different name and clothing. Although, in addition to not make us feel alone in our individual games, this mod will allow us to turn these human in our allies. To convert one of these “human” allies, we right click on any of them, so will access an interface that will show us the life of that being, in addition to object need to turn it into an ally. If we give, we will have a partner who will defend us from enemies. These comrades or allies can be equipped with weapons, armor, tools, and even can give them food to regain health during battle. How to install Revolution Mod for Minecraft 1.8? Now you can have allies for your adventures in Minecraft!